Destination: New York City. Mission: Dinosaur hunt. A murderous mutant dinosaur is on the rampage! A young scientist has created a living nightmare from dinosaur DNA crossed with his pet dog Freddie – and now the flesh-eating monster is on the run! Someone needs to capture it before it destroys New York. 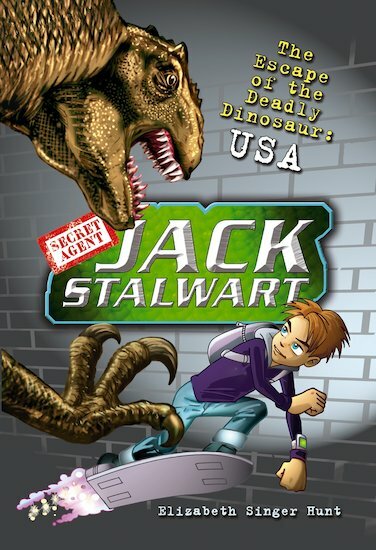 It’s up to young Jack Stalwart to save the world – again! I liked this book because it had dinosaurs in and I love to read about things that are extinct. Its a very exciting book for children who are reading books.